Garlock Sealing Technologies is a global supplier of high-performance sealing solutions. At its manufacturing facilities in Rochester, NY, the company produces components that require an especially high-temperature curing process. 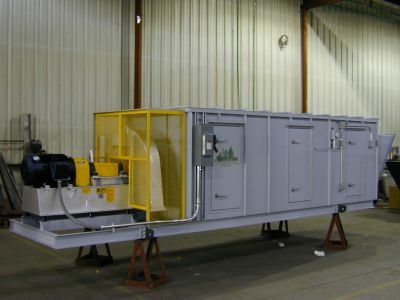 The air-handling system for this process must provide blower performance at an extremely high static pressure load of 58.94-inches water column. It must also be built to handle a temperature rise of 275 degrees Fahrenheit.